You may have never considered vacationing on a farm, but did you know farm stays are available the world over? If you love the great outdoors, basing yourself at a farm stay whether you holiday in the U.S. or overseas could be the perfect holiday option for the whole family. You’ll gain great insight into the life and culture of your host region or country, it will be less disruptive than hotel hopping, and there’s the added bonus that your children will gain a deeper understanding of where their food comes from. Farm stays can range from the most basic of self-catering accommodation to quite luxurious bed and breakfasts. Here’s our round-up of 13 organic farm stays in the U.S. and across the globe, to start you dreaming of your next family escape –- and there are even vegan options on the list. 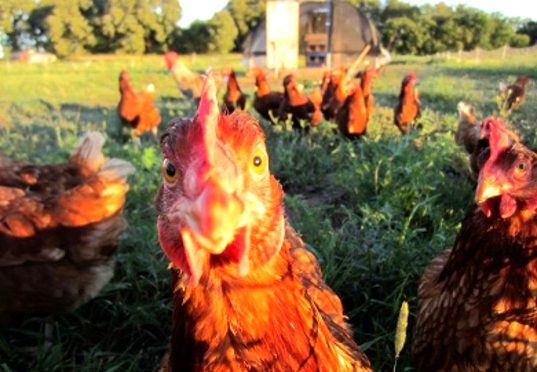 Hamilton Farm is an organic, family-run farm focusing on simple living and sustainability. From hiking and birdwatching to cheesemaking workshops, organic turkeys to hand-making goats’ milk soap, there is plenty to see and do during your stay. 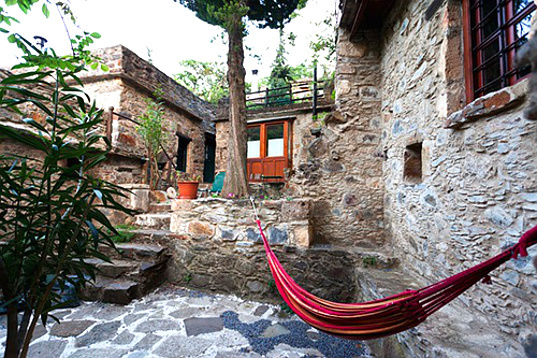 The farmstay accommodation sleeps up to five people in a charming, rustic cabin. To help you realize you are truly getting away from it all, the cabin is candlelit at night, and has a sun shower and a newly built outhouse – be sure to bring a torch! A farm-fresh breakfast for two is included in the price, with additional guest breakfasts available for a modest extra fee. Breakfast is likely to include a plate of farm-fresh eggs, steaming home-made biscuits, fresh strawberry jam and large mug of goat milk chai. 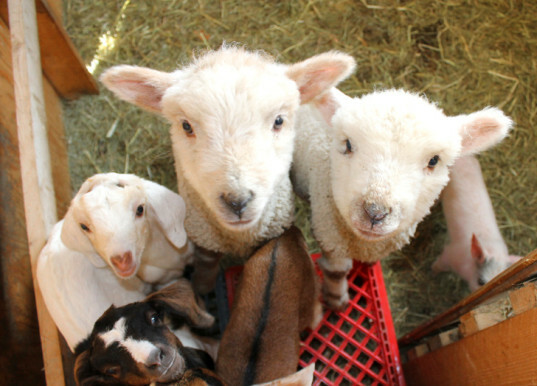 The farm raises turkeys, sheep, goats, pigs, and chickens, so there are always plenty of baby animals to steal visitors’ hearts. Kinnikinnick Farm is a small, family owned, certified organic farm located 85 miles north-west of Chicago in the gently rolling hills of northern Illinois, just south of the Wisconsin border. Kinnikinnick has been in continuous production since 1849 and the original log cabin makes up part of the nineteenth century farmhouse. Guest accommodation is available from mid-May to mid-October in “rustically elegant” Feather Down canvas tents that feature wooden floors, a wood stove and sleeping for six. The tents are self-catering, but farm fresh and local produce is available for purchase on site, and cooking pots, crockery and utensils are provided. As a working farm, guests can participate as much or as little as they like in activities, from just watching to rolling up sleeves and helping with farm chores, harvesting crops, tending the farm’s own garden, feeding animals, or simply gathering eggs. Kinnikinnick sells its produce directly to Chicago chefs and at farmers’ markets. The farm raises poultry and pork, and grows a wide variety of greens, heirloom tomatoes, root crops, and seasonal vegetables starting with asparagus and snap peas in the Spring and ending with butternut squash and sun-chokes in the Fall, with a particular focus on Italian varietals. Farm Sanctuary offers a unique perspective in this list: it’s a shelter farm for rescued farm animals and it has a strict vegan meals policy. All animals on the sanctuary have been rescued from stockyards, factory farms, and slaughterhouses, and receive lifelong care, as well as plenty of love and cuddles from visitors. Farm Sanctuary runs three farms, a 175-acre farm in Watkin’s Glen, upstate New York, a 300-acre farm in Orland, northern California, and a 26-acre farm in Acton, southern California. 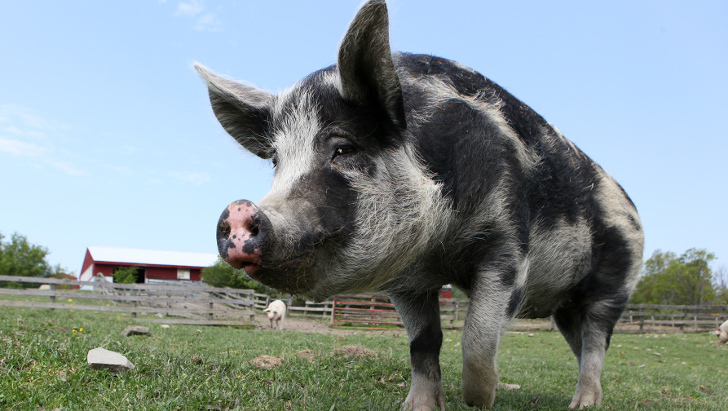 They also provide information about factory farming practices, offer an animal adoption service, and accept volunteers. The New York state sanctuary is home to over 500 animals, and B&B guests stay in spacious cabins and can pitch in with chores around the property. Accommodation is available at a very reasonable rate to members only, but membership is gained by making a minimum $20 donation to the sanctuary, which allows you to reserve accommodation on the spot. 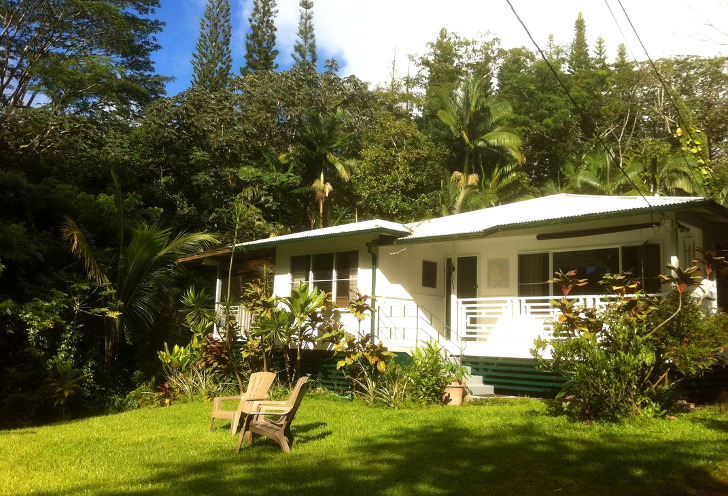 Moving away from the U.S. mainland, if you want a Hawaiian getaway with a difference, The Jungle Farmhouse sleeps up to eight people and is located in the heart of the Puna District on the east side of Hawaii Island. The 2.5-acre farm is a small, sustainable organic farm run on permaculture principles, and it provides food for the owners and their guests at both the farmhouse and their B&B in Hilo. Here you can relax and enjoy the natural beauty of the farm, and it’s just minutes away from Kehena Black Sand Beach, Lava Tree Park, thermal warm ponds, steam vents, and snorkeling at the Kapoho Tide Pools. The farm produces over 100 eggs a week from a variety of free-ranging chickens and ducks, and is home to an adorable pair of Nubian goats. It also grows fresh avocados, tangerines, passion fruit, pineapple, papaya, bananas, herbs, vegetables and coffee. The farmhouse was built in 1970 and is decorated in picture-perfect Hawaiian retro style (there’s even an LP player and a stack of classic Hawaiian records). There’s also an outdoor solar shower, solar and wind power, and snorkeling gear you can borrow, plus it’s close to all amenities, including a farmers’ market and natural food store. For more U.S. organic farmstays, see here. Varzea da Gonçala is a smallhold permaculture farm on the beautiful west Algarve coast of Portugal, which is famed for spectacular surf beaches. Nestled in a valley, the 20-acre farm has been owned by the Lewis family since 2006. After several years of restoration work on the depleted land, the farm produces fresh, seasonal, organic fruit and vegetables, as well as eggs, all farmed within an ecosystem of native holm oaks, carobs, loquats and olives. 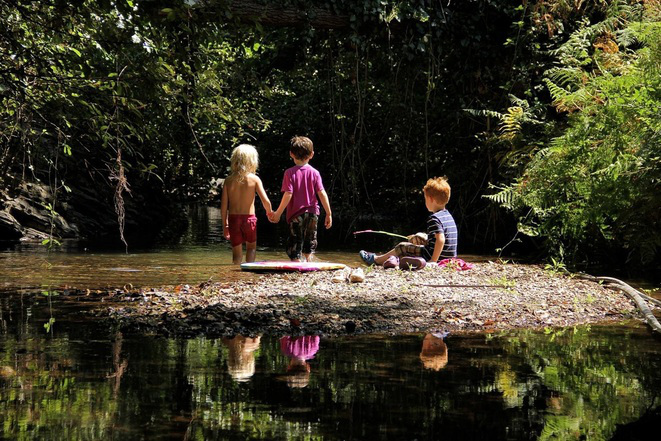 The Lewises have made the property a “paradise for children,” with many places to play and explore, including a play area with climbing frames, ropes, swings and slides, a spectacular treehouse, an outdoor chess board, and a paddling pool and sand-pit for the littlest ones. You can also swim in the adjacent river and those beaches are not far away at all! 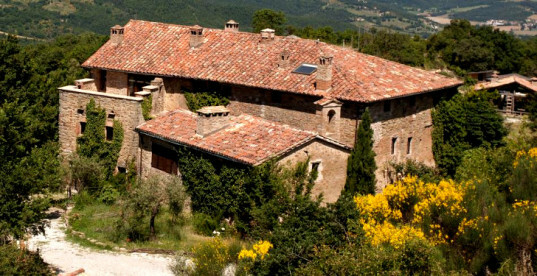 Accommodation consists of two traditional, rammed earth farmhouse cottages, each with two bedrooms and capable of accommodating a family of five or six. The cottages have fully-equipped kitchens and there are also barbecue facilities. The Lewises will be happy to show guests around their various projects and permaculture works. They also host projected film nights for kids, and documentary films for adults, and there is a communal space where all are invited to share food, experiences and music. Brown’s Field is around two hours by train from Tokyo, and only about an hour’s trip from Narita International Airport. Run by U.S. ex-pat Everett Kennedy Brown and his wife Deco Nakajima, the couple and their five children moved here from Tokyo 15 years ago to set up a small organic farm on their two-acre property. There are two guest cottages on the farm and four rustic treehouses reached by elevated wooden walkways, as well as a six-room inn the family owns a few minutes’ walk down the road. Brown’s Field has bamboo groves, vegetable plots and rice paddies, the last of which are maintained by “duck farming.” The ducks wander through the paddies eating the weeds, fertilizing (ahem!) the paddies as they go. Nakajima is a macrobiotic cooking teacher and makes her own shoyu in addition to cooking for the farm’s communal meals. The meals are predominantly vegan, with some local cheese and fish added on occasion. As well as helping out around the farm, including milking the goats, guests can go bike riding around the area, surf at nearby Kujukuri beach, or visit the local, 1,200-year-old, Buddhist monastery. Brown’s Field’s website and Facebook page are only available in Japanese at time of writing, but The Guardian recently gave it an excellent review in English. Dewalokam is located in the spice belt midlands of Kerala, and is the ancestral farm of the Alilakuzhy family, who have run the farm using organic methods for generations. The farm stay is fully catered with a focus on traditional Keralan cuisine, and there is a choice of accommodation between rooms in the main building or a detached house in the forest that sleeps six. Secluded amongst rainforest, the farm grows a rich collection of spices such as pepper, nutmeg, cinnamon, cloves, cardamom, ginger, and turmeric. Activities include an educational tour of the spice orchards, honey collection, milking the cows, bamboo rafting on the river, swimming, and tapping rubber trees. Yoga classes and Ayurvedic treatments are also available for an extra fee, and the chefs are happy to teach you some Keralan recipes. In addition to the spices, Dewalokam produces fish, meat, eggs, milk, fruits and vegetables for in-house consumption. All organic waste produced on the farm is recycled with the help of fish, farm animals and a compost unit. Cooking fuel is produced with the help of a biogas plant, and solar energy is tapped for the water heating system. The farm is also staffed by local villagers, and guests are encouraged to visit or volunteer at the village school. 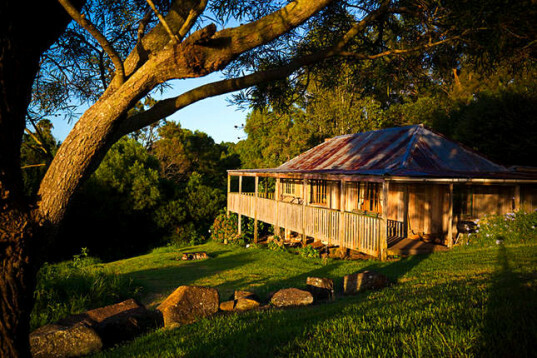 Mullengrove Cottage will give you a true Australian bush experience. It’s not in the “Outback,” but in the coastal southern highlands area of New South Wales, an easy two hours’ drive south of Sydney. Mullengrove is a traditional wood slab building, surrounded by 40 acres of bush that is home to wombats, echidnas, wallabies and abundant bird life. The cottage is on Berry Mountain Farm, an 86-acre organic farm that grows over 60 types of seasonal fruits and vegetables. The accommodation sleeps five and is self-catering, with a basket of fresh seasonal produce waiting for you on arrival (apparently the broccoli is sensational). The cottage has been beautifully furnished with pressed tin ceilings, antiques and authentic vintage Australiana touches, right down to the 1930s kitchen stove. As well as exploring the farm, nearby attractions include swimming and surf beaches, national parks, hiking, and horse riding, or you could just sit quietly and watch the wombats wander by. There are also board games and plenty of open spaces for kids to play. For more international organic farm stays, see here. Warborne Farm is a 180-acre, family-run farm that has been certified organic by the U.K.’s Soil Association since 1996. Situated in The New Forest National Park near the stunning Isle of Wight, guest accommodation consists of two luxury converted barns that are 170 years old. Each barn sleeps four to six people, with another four beds in a ‘sleeping loft’ above for those who are nimble enough to get up there. The barns are powered by solar photovoltaics, with heating and hot water provided by air source and thermal solar underfloor heating. 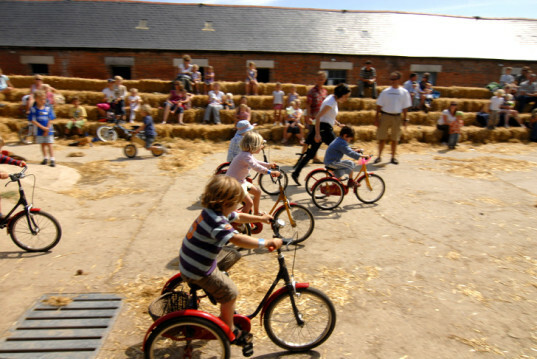 The farm can provide seasonal produce including eggs, honey, fruit, flowers and vegetables, and while the barns are equipped to be self-catering, meals can also be provided by prior arrangement. More than 300 varieties of vegetables have been grown on the farm in recent years, as well as 100 varieties of fruit and an abundance of animals. Situated only a mile from the coast, Warborne Farm provides an excellent base for exploring the surrounding area. Further farmstays in the U.K. can be found here and here. Bold Point Farm is on Quadra Island, near the northern edge of Vancouver Island. The farm aims to be an interactive and interpretive experience for visitors, with plenty of personal and hands-on farm activities. 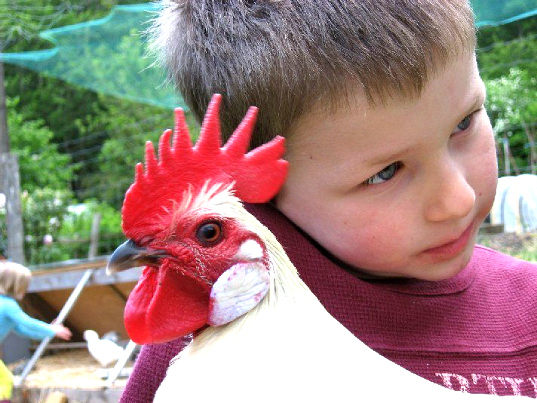 Farm hosts Rod and Geraldine commit to spending quality time with guests during their stay, and children are given the opportunity to interact with their calm and gentle farm animals. Rod and Geraldine firmly believe that holding a warm, freshly laid egg or bottle feeding a tiny lamb can instill wonder and lifelong memories. In addition to sheep, ducks and chickens, the farm has 14 raised and companion-planted vegetable garden beds, numerous heritage apple trees, plus plum and sour cherry trees, berry bushes and hazelnut trees. Guests can also join in wild crafting, and depending on the season there will be the chance to harvest wild fruits, teas, greens, and oyster or chanterelle mushrooms. The island setting also means guests can go canoeing, rowing or swimming on the lake or in the sea. Accommodation is available in either the five-bed cottage, or B&B style in the farmhouse proper. For more Canadian Farmstays, see here. RELATED | Are National Parks and Public Lands Becoming Too Hands-Off for Kids? Lead photo by Monestevole, photos by Hamilton Farm, Kinnikinnick Farm, Farm Sanctuary, The Jungle Farmhouse, Varzea da Gonçala, Milia Mountain Retreat, Monestevole, Brown’s Field, Dewalokam via Facebook, Mullengrove Cottage, Rainbow Nature Resort, Warborne Farm, and Bold Point Farm. You may have never considered vacationing on a farm, but did you know farm stays are available the world over? If you love the great outdoors, basing yourself at a farm stay whether you holiday in the U.S. or overseas could be the perfect holiday option for the whole family. You'll gain great insight into the life and culture of your host region or country, it will be less disruptive than hotel hopping, and there's the added bonus that your children will gain a deeper understanding of where their food comes from. Farm stays can range from the most basic of self-catering accommodation to quite luxurious bed and breakfasts. Here's our round-up of 13 organic farm stays in the U.S. and across the globe, to start you dreaming of your next family escape –- and there are even vegan options on the list. Kinnikinnick Farm is a small, family owned, certified, organic farm located 85 miles northwest of Chicago in the gently rolling hills of northern Illinois, just south of the Wisconsin border. Kinnikinnick has been in continuous production since 1849 and the original log cabin makes up part of the nineteenth century farm house. Guest accommodation is available from mid-May to mid-October in “rustically elegant” Feather Down canvas tents that feature wooden floors, a wood stove and sleeping for six. The tents are self-catering, but farm fresh and local produce is available for purchase on site, and cooking pots, crockery and utensils are provided. As a working farm, guests can participate as much or as little as they like in activites, from just watching to rolling up sleeves and helping with farm chores, harvesting crops, tending the farm’s own garden, feeding animals, or simply gathering eggs. Kinnikinnick sells its produce directly to Chicago chefs and at farmers’ markets. The farm raises poulty and pork, and grows a wide variety of greens, heirloom tomatoes, root crops, and seasonal vegetables starting with asparagus and snap peas in the Spring and ending with butternut squash and sun-chokes in the Fall, with a particular focus on Italian varietals. Moving away from the U.S. mainland, if you want a Hawaiian getaway with a difference, The Jungle Farmhouse sleeps up to eight people and is located in the heart of the Puna District on the east side of Hawaii Island. The 2.5 acre farm is a small, sustainable organic farm run on permaculture principles, and it provides food for the owners and their guests at both the farmhouse and their B&B in Hilo. Here you can relax and enjoy the natural beauty of the farm, and it’s just minutes away from Kehena Black Sand Beach, Lava Tree Park, thermal warm ponds, steam vents, and snorkeling at the Kapoho Tide Pools. The farm produces over 100 eggs a week from a variety of free-ranging chickens and ducks, and is home to an adorable pair of Nubian goats. It also grows fresh avocados, tangerines, passion fruit, pineapple, papaya, bananas, herbs, vegetables and coffee. 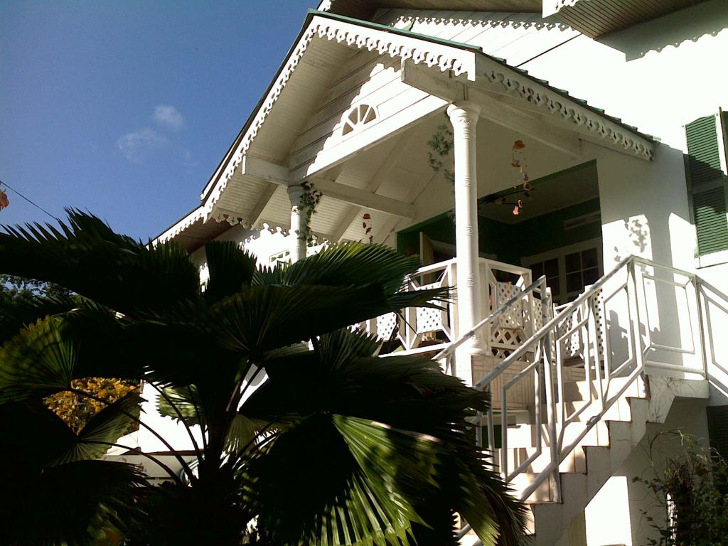 The farmhouse was built in 1970 and is decorated in picture-perfect Hawaiian retro style (there’s even an LP player and a stack of classic Hawai’ian records). There’s also an outdoor solar shower, solar and wind power, and snorkeling gear you can borrow, plus it’s close to all amenities, including a farmers’ market and natural food store. Varzea da Gonçala is a smallhold permaculture farm on the beautiful west Algarve coast of Portugal, which is famed for spectacular surf beaches. Nestled in a valley, the 20-acre farm has been owned by the Lewis family since 2006. After several years of restoration work on the depleted land, the farm produces fresh, seasonal, organic fruit and vegetables, as well as eggs, all farmed within an ecosystem of native holm oaks, carobs, loquats and olives. The Lewises have made the property a “paradise for children,” with many places to play and explore, including a play area with climbing frames, ropes, swings and slides, a spectacular treehouse, an outdoor chess board, and a paddling pool and sand-pit for the littlest ones. You can also swim in the adjacent river and those beaches are not far away at all! Accommodation consists of two traditional rammed earth farmhouse cottages, each with two bedrooms and capable of accommodating a family of five or six. 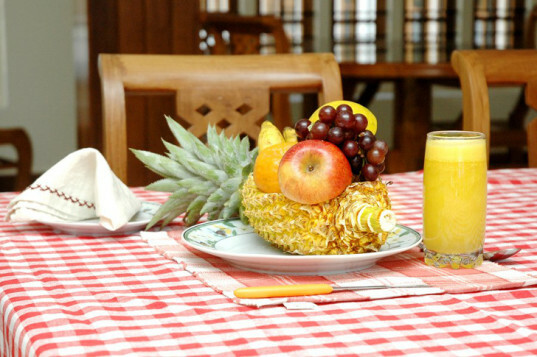 The cottages have fully-equipped kitchens and there are also barbecue facilities. The Lewises will be happy to show guests around their various projects and permaculture works. They also host projected film nights for kids, and documentary films for adults, and there is a communal space where all are invited to share food, experiences and music. Brown's Field is around two hours by train from Tokyo, and only about an hour’s trip from Narita International Airport. Run by U.S. ex-pat Everett Kennedy Brown and his wife Deco Nakajima, the couple and their five children moved here from Tokyo 15 years ago to set up a small organic farm on their two-acre property. There are two guest cottages on the farm and four rustic treehouses reached by elevated wooden walkways, as well as a six-room inn the family owns a few minutes’ walk down the road. Brown’s Field has bamboo groves, vegetable plots and rice paddies, the last of which are maintained by “duck farming.” The ducks wander through the paddies eating the weeds, fertilizing (ahem!) the paddies as they go. 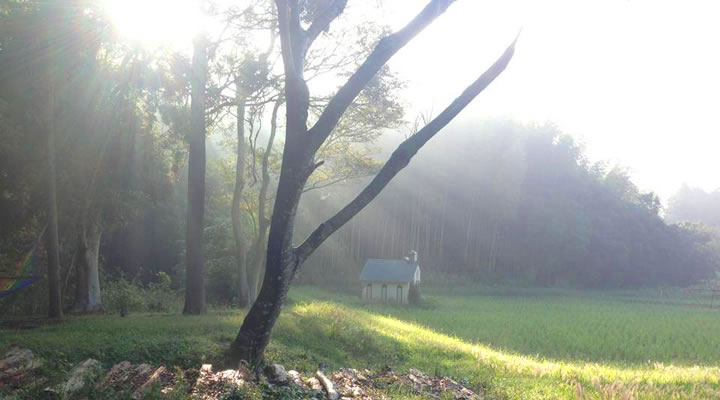 Nakajima is a macrobiotic cooking teacher and makes her own shoyu in addition to cooking for the farm’s communal meals. The meals are predominantly vegan, with some local cheese and fish added on occasion. As well as helping out around the farm, including milking the goats, guests can go bike riding around the area, surf at nearby Kujukuri beach, or visit the local, 1,200-year-old, Buddhist monastery. Brown’s Field’s website and Facebook page are only available in Japanese at time of writing, but The Guardian recently gave it an excellent review in English. Dewalokam is located in the spice belt midlands of Kerala, and is the ancestral farm of the Alilakuzhy family, who have run the farm using organic methods for generations. The farm stay is fully catered with a focus on traditional Keralan cuisine, and there is a choice of accommodation between rooms in the main building or a detached house in the forest that sleeps six. Secluded amongst rainforest, the farm grows a rich collection of spices such as pepper, nutmeg, cinnamon, cloves, cardamom, ginger, and turmeric. Activities include an educational tour of the spice orchards, honey collection, milking the cows, bamboo rafting on the river, swimming, and tapping rubber trees. Yoga classes and Ayurvedic treatments are also available for an extra fee, and the chefs are happy to teach you some Keralan recipes. In addition to the spices, Dewalokam produces fish, meat, eggs, milk, fruits and vegetables for in-house consumption. All organic waste produced on the farm is recycled with the help of fish, farm animals and a compost unit. Cooking fuel is produced with the help of a biogas plant and solar energy is tapped for the water heating system. The farm is also staffed by local villagers, and guests are encouraged to visit or volunteer at the village school. Mullengrove Cottage will give you a true Australian bush experience. It’s not in the “Outback,” but in the coastal southern highlands area of New South Wales, an easy, two hours’ drive south of Sydney. Mullengrove is a traditional wood slab building, surrounded by 40 acres of bush that is home to wombats, echidnas, wallabies and abundant bird life. The cottage is on Berry Mountain Farm, an 86-acre organic farm that grows over 60 types of seasonal fruits and vegetables. The accommodation sleeps five and is self-catering, with a basket of fresh seasonal produce waiting for you on arrival (apparently the broccoli is sensational). The cottage has been beautifully furnished with pressed tin ceilings, antiques and authentic vintage Australiana touches, right down to the kitchen stove. As well as exploring the farm, nearby attractions include swimming and surf beaches, national parks, hiking, and horse riding, or you could just sit quietly and watch the wombats wander by. There are also board games and plenty of open spaces for kids to play. Warborne Farm is a 180-acre, family-run farm that has been certified organic by the U.K.’s Soil Association since 1996. Situated in The New Forest National Park near the stunning Isle of Wight, guest accommodation consists of two luxury converted barns that are 170 years old. Each barn sleeps four to six people, with another four beds in a ‘sleeping loft’ above for those who are nimble enough to get up there. The barns are powered by solar photovoltaics, with heating and hot water provided by air source and thermal solar underfloor heating. The farm can provide seasonal produce including eggs, honey, fruit, flowers and vegetables, and while the barns are equipped to be self-catering, meals can also be prepared by prior arrangement. More than 300 varieties of vegetables have been grown on the farm in recent years, as well as 100 varieties of fruit and an abundance of animals. Situated only a mile from the coast, Warborne Farm provides an excellent base for exploring the surrounding area.